The attorneys and staff of HNW have combined experience of 350 years and more. Trusted by clients for over 4 decades we are here for you today. Take a minute to or 2 to read about each of our attorneys then call or email us today. 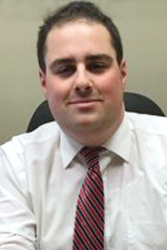 Christopher J. Hanlon is the head of the firm’s litigation department. He is a passionate and tireless advocate for his clients, willing to work long hours to champion their causes and rights. He is certified by the New Jersey Supreme Court as a Civil Trial Attorney and a frequent speaker/lecturer before state associations and organizations on a number of topics in the law. 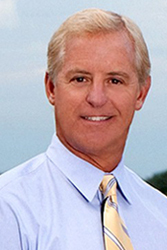 Christopher J. Hanlon has been practicing law since 1977. Most of his experience is in the formal prosecution and defense of claims on behalf of clients. He has litigated cases in the United States Supreme Court, United States Court of Federal Claims, Third Circuit Court of Appeals, United States District Court, and the New Jersey Supreme Court. He has a wealth of experience, having litigated dozens of cases in the Appellate Division of the Superior Court of the State of New Jersey, as well as every Trial Level Court throughout the State, the Office of Administrative Law, Tax Court and Workers Compensation Court. He is an arbitrator for the United States Federal District Court and has been involved in numerous mediations and contested arbitration matters representing clients. He also represents clients before Municipal Boards of various types, including Planning, Zoning and Rent Control. Most of his litigation has focused on personal injury, real estate related litigation, constitutional law, rent control, (including Mount Laurel issues), and commercial litigation. 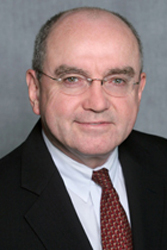 Fredrick P. Niemann offers his clients nearly 40 years of accomplished practice in the law. He is a former member of the New Jersey Institute of Local Government Attorneys, the National Academy of Elder Law Attorneys, the Guardianship and Conservatorship Committee of NAELA, Monmouth County Probate and Estate Committee and the Monmouth County Chancery Practice Committee. Mr. Niemann has served as an approved civil mediator by the Supreme Court of New Jersey and mediates contested business and civil cases filed in the Superior Courts throughout the State of New Jersey. In addition, Mr. Niemann was accredited by the US Veteran’s Administration as a certified attorney accredited to file, prepare, counsel and assist veterans and their families in Aid and Attendance pension benefits. Mr. Niemann has been listed as a “rated” attorney in the State of New Jersey in the prestigious Martindale-Hubbell Peer Review List and in Avvo as a 9.5 rated attorney. He counsels clients (individual and corporate) at all economic levels in business transactions, including sales and purchases, asset protection, estate tax planning for tax reduction and avoidance, wills, trusts and probate including probate litigation, contested family and estate disputes, will contests, guardianships and nursing home planning for Medicaid qualification, particularly for clients and families dealing with dementia, Alzheimer’s Parkinson’s, Multiple Sclerosis, stroke and other health related issues affecting our aging population. He manages the firm’s elder law services for clients seeking Medicaid long term care and Veterans benefits, Medicare coverage and eligibility for state funded programs for health and medical benefits. He litigates denials of benefits by governmental agencies at fair hearings, administrative law proceedings and direct appeals to the Appellate Division of the New Jersey Superior Court. He speaks at seminars and conferences on nursing home and community based alternatives to institutional care, the Nursing Home Reform Law and Veterans benefits. He heads the elder law, business litigation and probate sections of the firm. Bonnie M. Wright is a graduate of St. John’s University and holds a Bachelor of Science in business administration. She received her Juris Doctor degree from Seton Hall University School of Law and is a member admitted to the New Jersey State Bar and the United States District Court of New Jersey. Ms. Wright is an active member of the American Bar Association, the New Jersey Bar Association and the Monmouth County Bar Association. Ms. Wright has been a member of the Firm since 2002. She became a partner of the firm in 2014. Ms. Wright is experienced in transactional and business law, which includes residential and commercial real estate; business sales and purchases; business formation; and contract preparation, review and negotiation. Ms. Wright also regularly practices in the areas of estate litigation, estate administration and guardianships. Ms. Wright has routinely represented parties, as both challenger and defender, in estate litigation, including claims of fraud and duress in the making of a will; lack of or diminished capacity in the making of a will or other estate planning document; and breach of fiduciary duty by another family member. Christopher Balioni is a litigation associate with Hanlon, Niemann & Wright where his practice includes business disputes, civil rights, sexual harassment and estate litigation. Mr. Balioni has experience in hundreds of state and federal cases including jury trials and appellate work. Mr. Balioni brings to the firm a unique perspective on the practice of law gained from a history of litigating constitutional cases. Mr. Balioni is admitted to practice before the state courts of New Jersey and New York and, on the federal level, before the United States District Court of New Jersey and the Eastern, Southern, and Northern District Courts of New York. Prior to joining Hanlon, Niemann & Wright, Mr. Balioni was associated with law firms in New Jersey and New York. Mr. Balioni received his undergraduate degree from New School University and then studied law as an evening student at New York Law School while working full time at MTV Networks. In law school, he focused on criminal justice and intellectual property coursework, while also winning the Sylvia D. Garland award for Excellence in Civil Litigation. One of the members of his graduating class went on to become his wife. Kimberlie A. Fiero is an associate attorney with Hanlon, Niemann & Wright admitted to practice law in both New York and New Jersey since 2000. 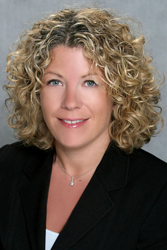 She moved to New Jersey in 2002 and began her professional career as an attorney with Ocean-Monmouth Legal Services. 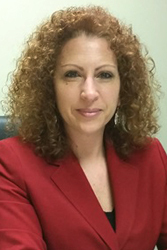 Her legal experiences offer a diverse and comprehensive background to her clients in practice areas that focus on legal services to the elderly, the disabled and lower income residents of Monmouth, Ocean and surrounding counties. Her primary areas of responsibility to clients of the firm are in landlord-tenant law, Medicaid for long term care, public benefits, special needs, guardianship, administrative appeals and family law. Mrs. Fiero believes that her years of experience and dedication to clients in need will make her a distinctive and unique addition to the firm. Mrs. Fiero is the Vice Chair of the Monmouth County Fair Housing Board and in 2008 received an award from the Board of Chosen Freeholders honoring her dedication to protecting the fair housing rights of Monmouth County residents. Further, in 2010 Mrs. Fiero and the Monmouth County Ombudsman were the first to form a collaboration to provide free educational forums to the public on various legal topics. Her professional affiliations include being a member of the Ocean County Long Term Recovery Group which is dedicated to assisting Storm Sandy victims in their ongoing recovery efforts. 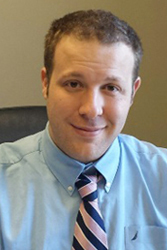 Stephen W. Kornas is an associate attorney with Hanlon Niemann & Wright, P.C. He earned his Bachelor of Science in Biology in 2012 from the College of New Jersey and his Juris Doctorate in 2015 from the Rutgers School of Law in Camden. Mr. Kornas concentrates his practice in the fields of Elder Law and Real Estate, particularly in the areas of Estate Administration, Estate Litigation, and Long-term Medicaid planning. He also is heavily involved in the firm’s Corporate Law and Commercial Litigation practices. Mr. Kornas is a member of the New Jersey State Bar Association and Monmouth County Bar Association. He also serves as Marshal for the New Jersey Alumni Chapter of Phi Alpha Delta, an international lawyer fraternity dedicated to mentoring law students and promoting professional and public service. A former Emergency Medical Technician, Mr. Kornas is a recipient of the President’s Volunteer Service Award. He also was an elected representative for both his college and law school’s student governing bodies, and served as Parliamentarian for each organization.